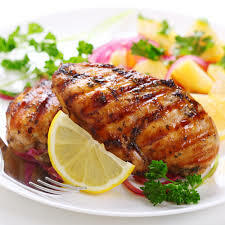 Remove chicken from marinade just before you turn on your grill or broiler to let come up a few degrees. Lightly oil your grill or broiler pan. Grill or broil about 10 minutes per side. Enjoy !